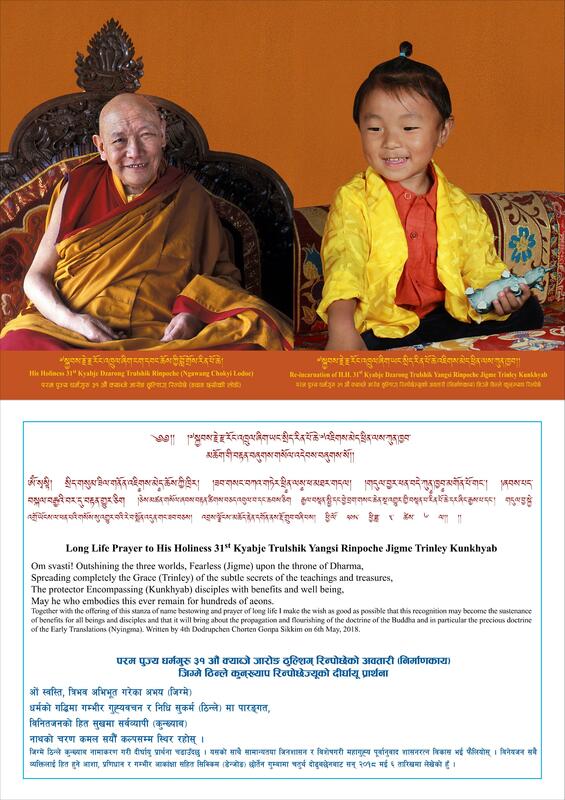 Reincarnation of His Holiness Kyabje Trulshik Rinpoche was recently found and officially recognized by His Holiness the 4rth Dotrupchen Rinpoche, Yangsi Rinpoche was born as the son of Maratika Dhungdzin Rinpoche,Venerable Ngawang Jigdral Chokyi Wangchuk and mother Urgyen Dolma at Maratika where Kyabje Trulshik Rinpoche every year spent 2 month retreat since long time. After recognized by the His Holiness Dotrupche Rinpoche, Kyabje Trulshik Yangsi Rinpoche was welcome by the sangha of his main seat Dzarong Thupten Donga Choling monastery and offered the rob ceremony and also did the brief enthronement ceremony. during the ceremony many of his closed disciple and more than 4 thousand devotees gathered and received blessings.